It’s nice to finally have our stuff back after a year and a half in storage. 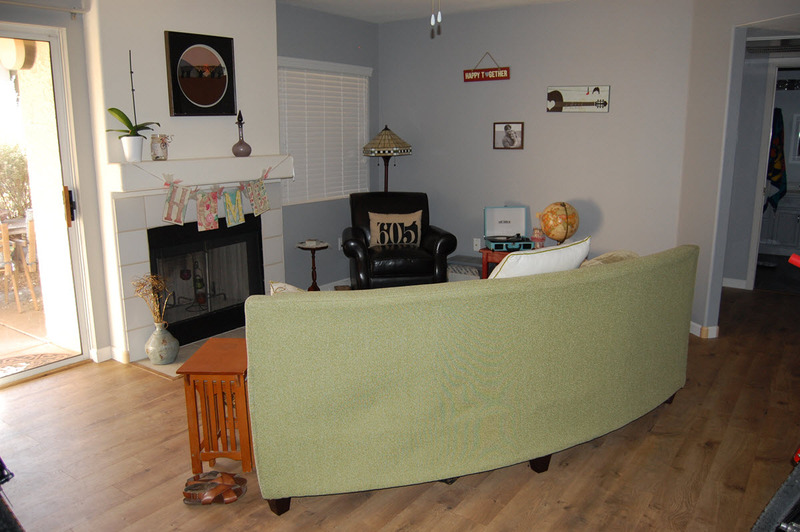 I’m pretty pleased with how things turned out (thanks to Evie for picking all the paint colors). It didn’t take too long given we started in mid August, but it was certainly a lot of long days and weekends. Now we can finally relax a bit as we don’t have a ton on the fall schedule, other than the usual hikes with Lucy and exploring around Arizona. Some pictures from the remodel below. enjoy! 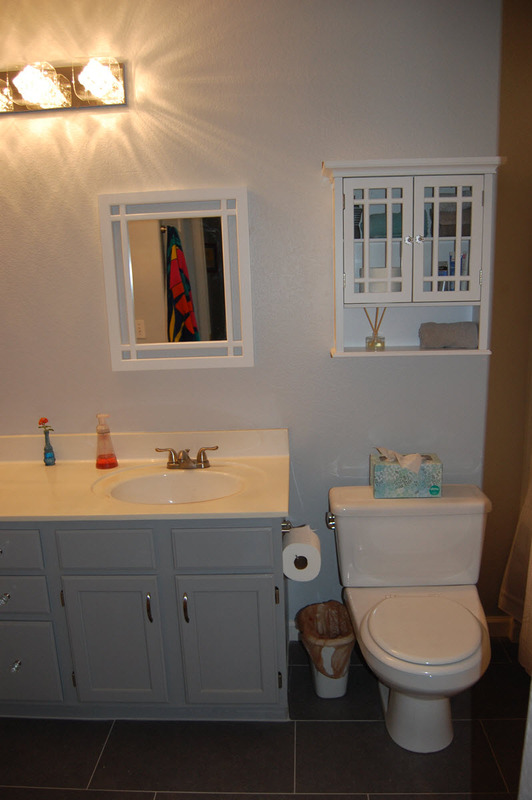 We redid the bathroom vanity with chalk paint, new faucets, and added hardware. We took out the big mirror that was there and replaced it with two smaller mirrors, a wall mounted cabinet and new light fixture. 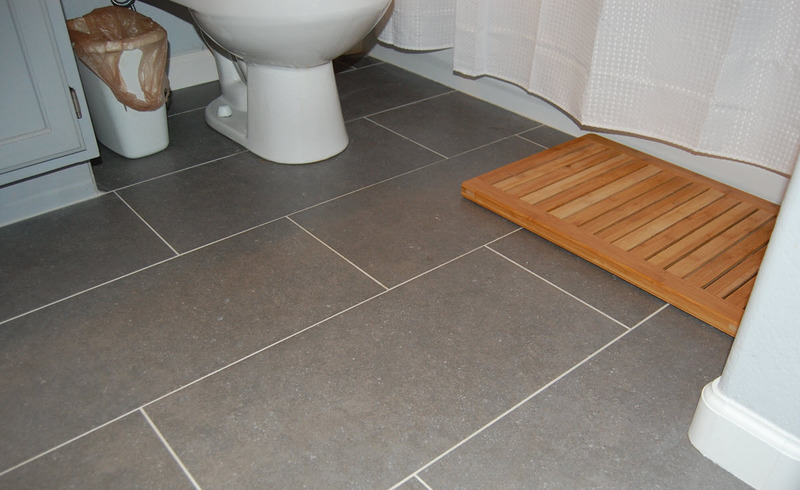 The bathroom tile is 12 x 24 in a blueish gray, it looks nice with the gray walls. 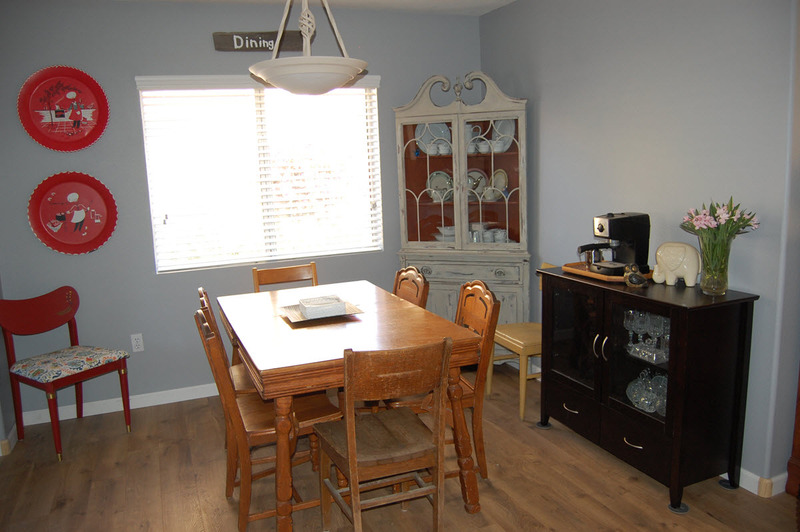 Our furniture goes well with the flooring that we got from Costco. 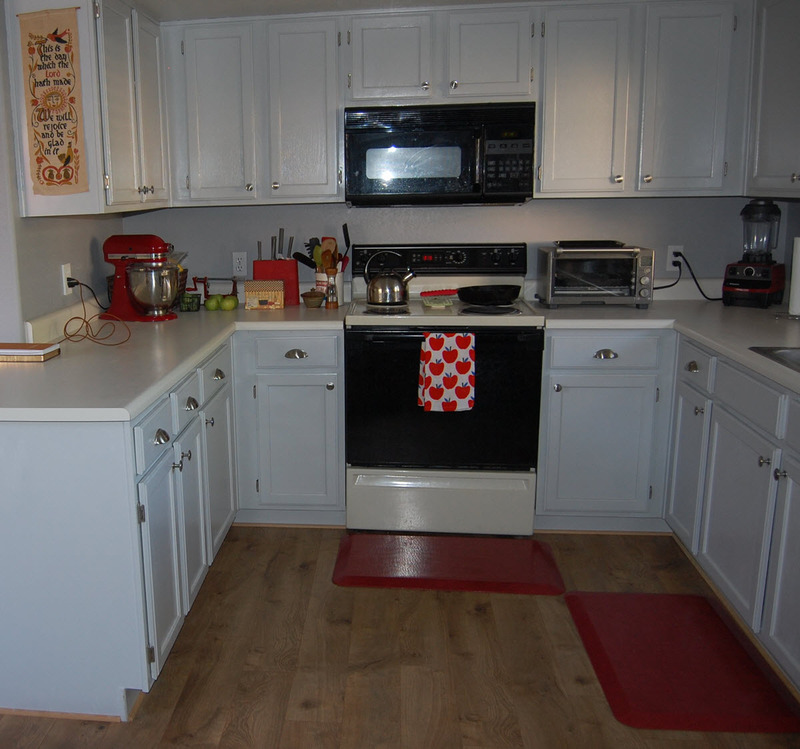 The kitchen cabinets were a pretty big job, we repainted them with chalk paint, replaced the old hinges, and added the brushed nickel hardware. New appliances are on the way! 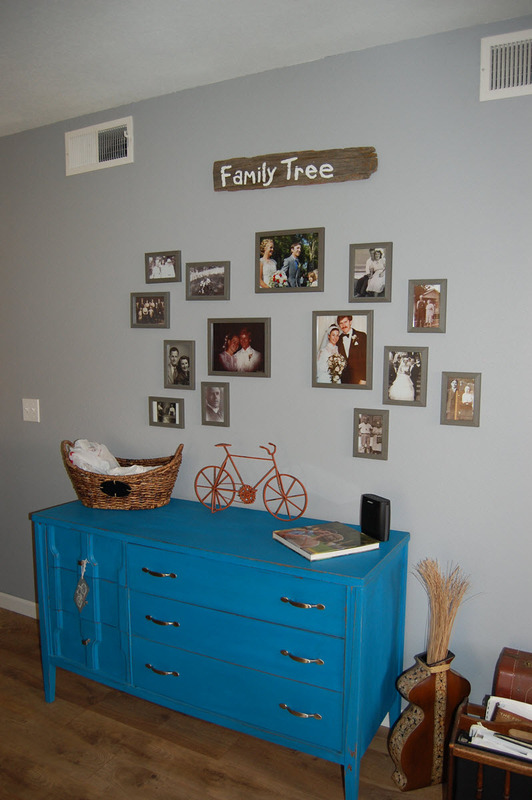 Our family tree photos that we had hanging up at our wedding. It pays to not have a ton of furniture, it all fits!